Seattle’s killer bar scene boasts some of the biggest spirit lists in the country, the most creative cocktails, and one of the 22 top whiskey bars in the US. But the drinks are nothing without the great minds behind them, which keep innovating and making sure some of the most interesting bars in the world are right here in town. 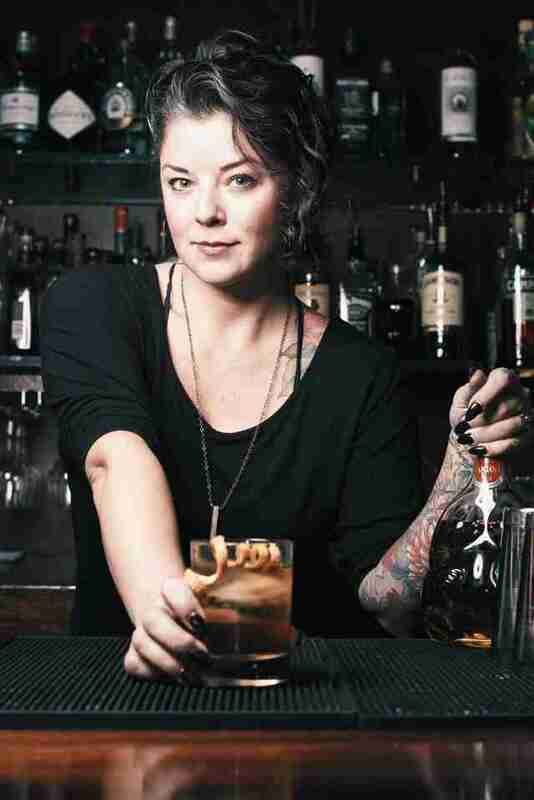 Here are the bartenders you’ll want to know if you want to drink great drinks. "I got into cocktails after meeting Murray at Zig Zag in... I want to say 2005? Maybe 2006? And tried a Corpse Reviver No. 2 for the first time. There’s a reason I have it tattooed on my arm: to remind me why I do what I do, and how I can always be better and learn more." Casey Robison is the elder statesman of the Seattle cocktail scene -- not because he’s old (he’s not), but because he’s been on the scene for 16 years and is one of the most respected bartenders by others in the industry. These days, he’s the spirits director for Heavy Restaurant Group (Barrio, Lot No. 3, Purple Cafe, etc. ), which takes the bulk of his time. Yet you’ll still find him slinging drinks on Monday nights at Barrio, helping customers find the perfect sip for half-price tequila and mezcal night at the Mexican restaurant, not all that far from his first local bartending job, at Clever Dunne's. With the Monday night discount, he often recommends customers use the opportunity to try a mezcal or tequila neat from Barrio’s list, which he says he thinks just might be the biggest in the country. "I've got about 127 labels of mezcal and 70 of tequila," he says of Barrio. "They're my particular, personal specialties, but I try to stay pretty well-rounded." However, he says, "I've been liking selling amaros and aperitifs lately." Outside of work, he’s usually just drinking wine at home with his wife of two years. She’s a lawyer, and both work long hours, so when he does have some of his own time, they’ll spend it together relaxing. 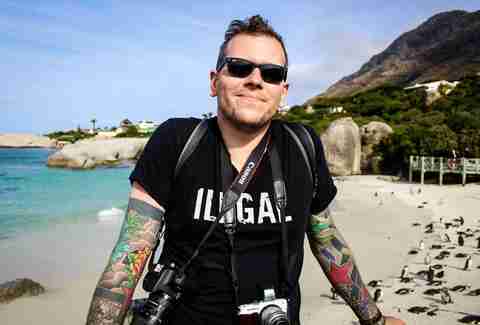 He’s also an avid traveler/photographer. Robison has been around Seattle’s bar scene for ages, and many of the newer bartenders coming up in the industry did so under his tutelage. Says another local bartender, “He’s teaching bartenders how to bartend and also make spreadsheets and do math, which is a necessity in our market of ever-increasing minimum wage and liquor taxes.” That means more bars are more affordable, better run, and have a remnant of Robison’s expert touch. “I love working with liquids of all types,” says this bar manager of funky First Hill spot The Hideout. The dark, well-loved bar is often praised for its style: the art on the walls, and in its vending machine. But the drinks coming over the bar are also little pieces of art, thanks to Darnell. After 12 years as a barista, she moved to the night shift, and has now been bartending for five years. She tends to use darker spirits, but loves coming up with new drinks, and hates to limit herself to any one style. “I just want to keep learning and creating,” she says. If you sidle up to her bar, you should ask for a Li’l Filthy, an original drink by her with Vida mezcal, damiana, Carpano Antica, Scrappy's chocolate bitters, and an orange tail garnish. Outside of work, her drinks of choice are wine and coffee, and she likes snowboarding and dancing. At home, she’s into redecorating and doing crazy projects like making a penny countertop. But most of all, she’s all about Seattle. “I’ve been to many major cities and nothing beats home,” which might explain why she’s also involved in the local community of bartenders, hoping to compete in this year’s Speed Rack competition, and running for president of the local US Bartenders' Guild chapter. "I love this city, this is my community. It think it's awesome that the restaurant industry in Seattle has been growing so much in the last five to 10 years. It's where I'm from and it's fun to be involved and a part of it." Like so many bartenders, Holman didn’t set out for a career behind the stick. 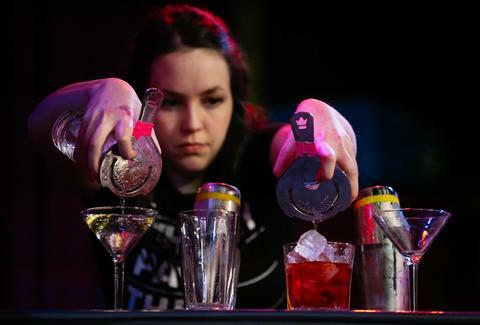 The Seattle native started in the industry during college to make some money, but after spending a post-grad year teaching English in France, she came home with a new appreciation of food and beverage and began pursuing bartending full-time. She quickly found that her constant desire to learn more and use every new ingredient she could find made the job a perfect fit: “I fell in love with the community and the creative aspects of it,” she says. These days, she’s spent almost two years at a bar often -- and deservedly -- called the best bar in the world: Canon. There, she works with one of the largest spirits lists (“I get to taste something new every day”) and most creative cocktail menus in the country. But she’s happiest when you’re ordering the Shrouded Roulette: a bartender’s choice made with your preferred style of spirit. “We’re encouraged to come up with something entirely new each time,” Holman explains, and she loves being kept on her toes. Lately, she’s been playing with a smoking box, which allows her to add a hit of smoked anything to the drink -- from blueberry tea to hickory wood chips. "I can add a depth of flavor you don't find in a regular cocktail." Behind the bar, she says, "I love making cocktails with multiple spirits: tequila and mezcal, rye and Cognac, bourbon and apple brandy." Off-duty, she’s more likely to be sipping on a sparkling rosé while hanging out at home. "I usually have quite a few bottles of bubbles in my fridge," she says. The native Seattleite loves bringing friends together and hosting parties -- a natural part of her personality that also is why bartending is such a great job for her. Naomi Tomky thinks it’s five o’clock somewhere, so stop reading and go get a drink from one of these bartenders. Follow her on Twitter @Gastrognome and Instagram @the_gastrognome to see if she’s doing the same.